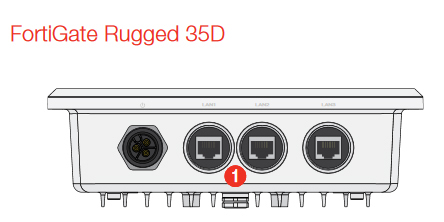 FortiGateRugged-35D,Ruggedized, IP67 rating for outdoor environment, 3 x GE RJ45 Switch ports. Max managed FortiAPs (Total / Tunnel) 2 / 2. Ruggedized design — fanless and use of robust components ensure reliable operation in harsh industrial environments. Consolidated security architecture — FortiGate consolidated security offers better protection and lower cost of ownership than multiple point products. Ease of management — robust management systems that allow rapid provision and deployment, monitoring of device and threat status while providing actionable reports. Power Supply Dual input, total 6 pin terminal block (12–48V DC) AC adapter not included. * Terminal block (12–48V DC) -48V DC power supply and external 12V DC power adapter connection. AC adapter not included. 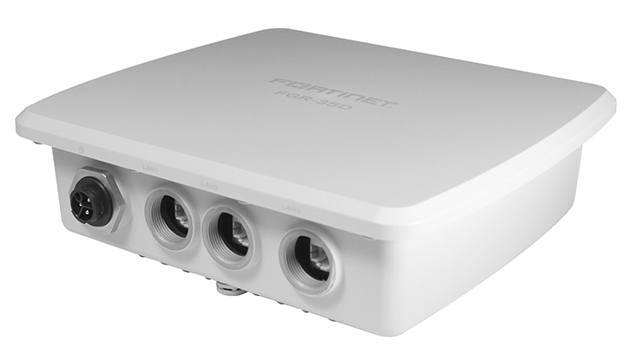 * Dual input, total 6 pin terminal block (12–48V DC) AC adapter included. * Power supplies do not operate in redunant mode. Third-party AC adapter is required and may affect systems compliance with Industrial standards. ** Excludes supplied power adapter which operates at smaller temperature range. Note: All performance values are “up to” and vary depending on system configuration. 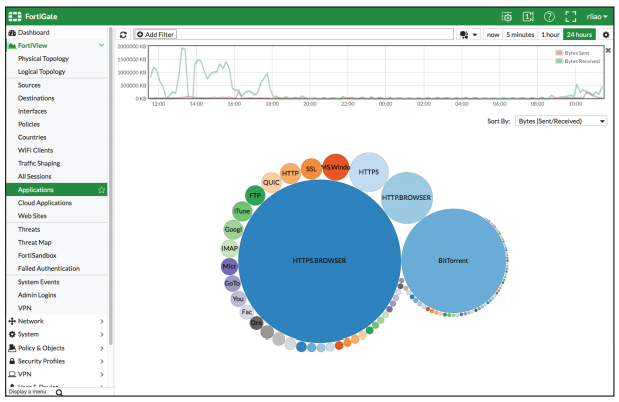 IPS performance is measured using 1 Mbyte HTTP files. IPsec VPN performance is based on 512 byte UDP packets using AES256+SHA1. 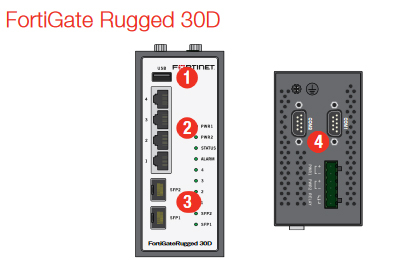 Download the Fortinet FortiGate Rugged Series Datasheet (PDF).